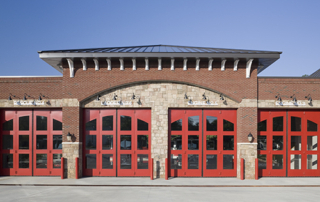 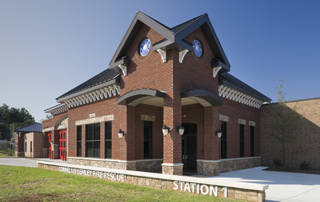 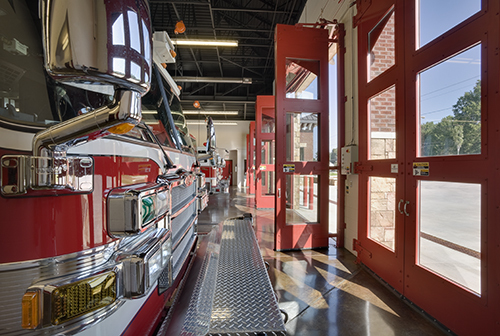 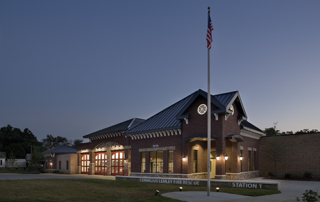 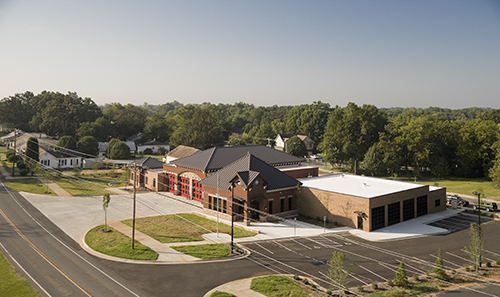 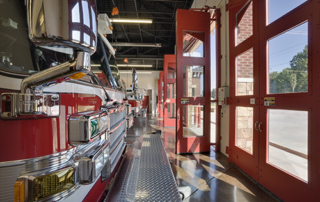 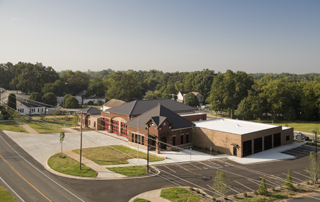 Unanimously selected by the Town of Cornelius to design a new replacement facility, RDM Architecture provided initial programming activities developing a 22,000 SF program with the fire department while assessing the Town’s $2.5M budget. 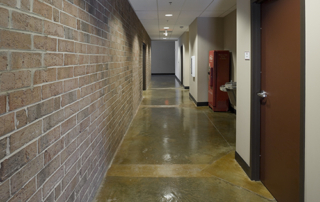 Consequently, the scope and budget were woefully disconnected. 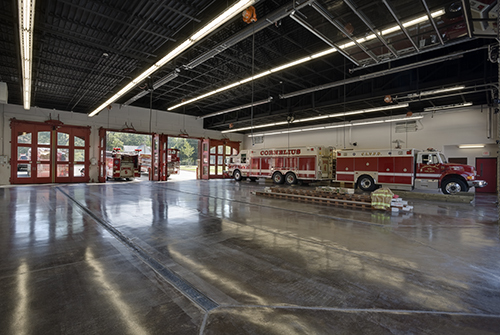 RDM worked both sides to bridge the gap, reducing the program to new construction of 16,000 SF and renovation of the existing 5,000 SF fire station while achieving a $500,000 budget increase. 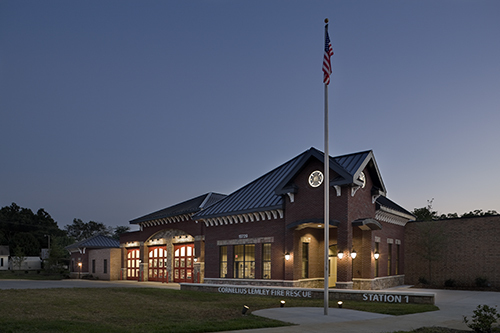 In the end, the Town board’s and the fire department’s needs were met with a beautiful new facility to serve the current community and its future growth. Design incorporated existing fire station building into new construction aesthetics to achieve contextual compatibility and project savings of an estimated $600,000, and keeping it from the landfill! 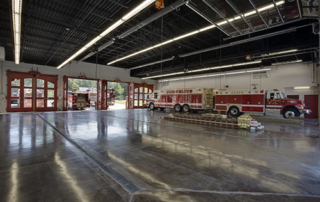 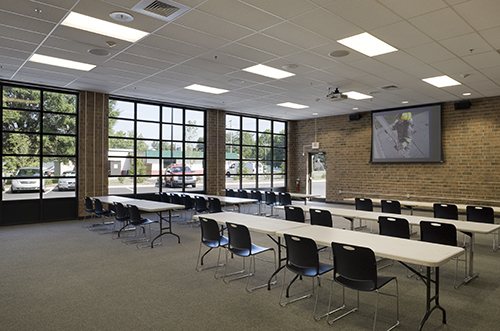 Repurposed existing fire station truck bays to multi-purpose Training Room, Day Room and Kitchen.